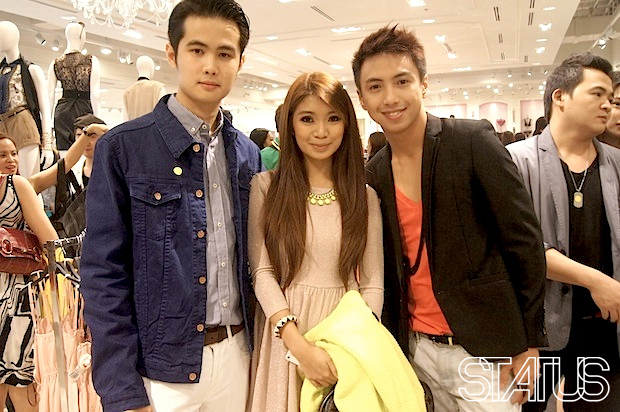 Last July 26 was the VIP opening and the formal addition of Forever 21 to SM Mall of Asia. It had a short program including a fashion show that showcased the latest trends of the Forever 21 Line. The show definitely attracted by passers because Forever 21 never fails to please everyone, may it be during an event or when you are actually shopping into one of their stores. I arrived late so I wasn’t able to get a good seat, but still managed to get a decent view of the whole program. Afterwards, everyone headed up to officially open the store, but only the invited guests were allowed inside, and luckily I was one of them. It gave me the chance to document the 21MEN line inside. I am a fan of the 21MEN line ever since it opened in the Philippines 2 years ago, so I knew what to expect. When I headed to what is usually a small section for guys, it is actually bigger than the one in Makati. I remembered my reaction when I saw the new arrivals, I said to myself: wow! They were all awesome. I like how they used darker tones for their new line, it makes it more appealing to wear. I wanted to grab a few pieces but the long lines of the check out counter discouraged me to. I’ll definitely come back once everyone gets the chance to see the new store so I can avoid long lines. Gianne Dilay and Vincent Igno. The 21MEN Section. New tones for basic tees have arrived. I spotted a lot of singlets in the store, and they’re actually really nice. I have recently purchased one from 21MEN but the new designs are way better than the one I got on sale. Zara Polo, Zara White Jeans, Zara Jacket, Topman Belt, Penny Loafers from Topman. I dont know why it didn’t cross my mind to wear at least something from 21MEN knowing that it’s a Forever 21 event. Ill keep that in mind next time to at least show some patronage haha. The lines were really long, it reminded me of a check-in counter in an airport. Thank you to my friend Arden Santos for featuring us at the Status online mag. To everyone who has not visited the place yet, go ahead and see for yourself. Forever 21 won’t let you down as always. It officially opened for the public yesterday July 27.
or looking at the pictures.